This project for the Southeast Asian restaurant included design of a website, social media account creation and management, business directory listing clean-up and photography. Unfortunately, this restaurant closed its doors (lease issue) shortly after opening, leaving the website only partially completed. A graphic artist had already created the logo when I came on the project, so I took the colors for the website from those already in the logo. 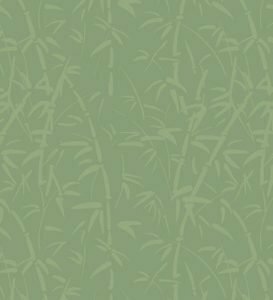 Echoing the theme of the Bambu Tea House, I constructed a page background of a stylized bamboo thicket and a full-width footer with alternating Asian styled endless knots. Other than that, the design for this site was fairly ordinary. 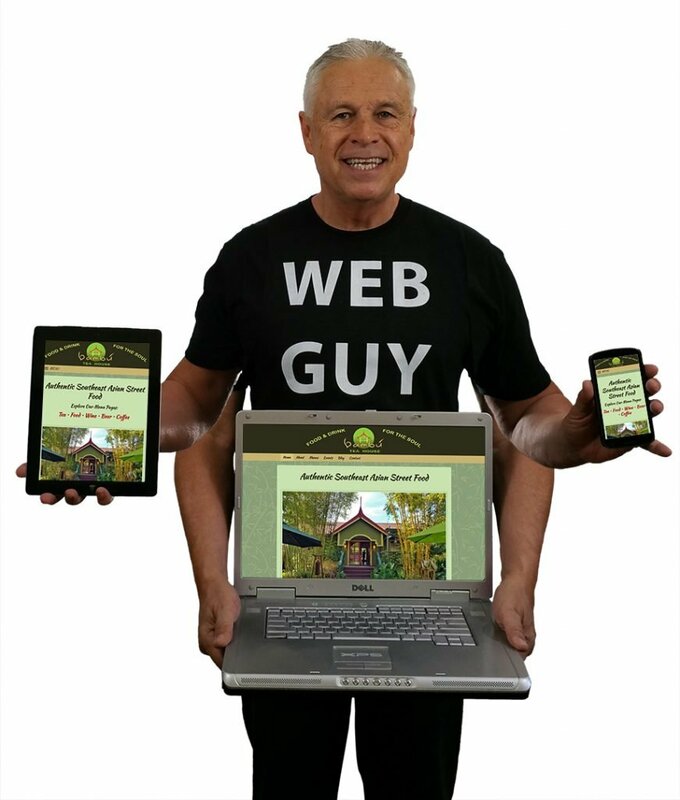 The layout for the site is fully responsive for different screen sizes, with content intelligently reflowing to accommodate varying window widths without breaking up the narrative flow. For mobile devices, the top of page displays large, easily tapped links going to the various menu sections. 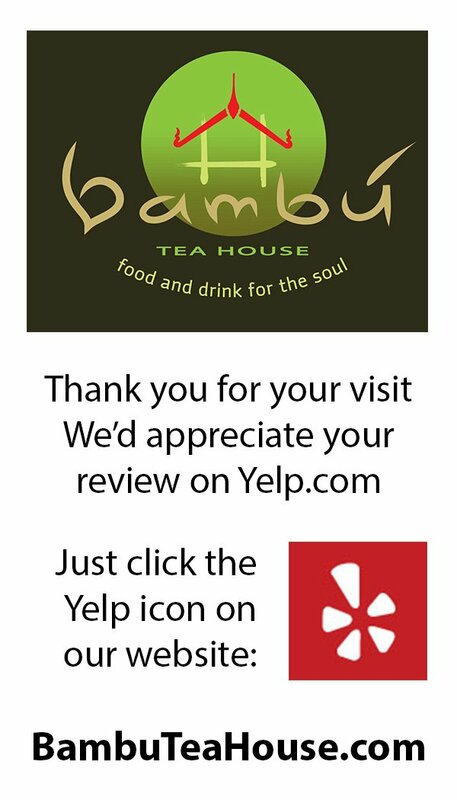 BambuTeaHouse.com is a fully responsive design. 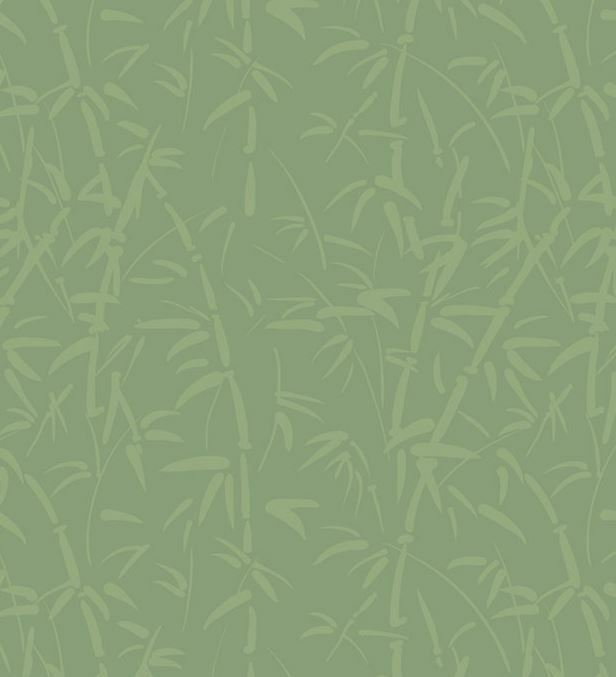 Background pattern for BambuTeaHouse.com web pages. The real challenge came from claiming and cleaning up the other online accounts associated with this business. Over the years that the restaurant had struggled to open, multiple Google Maps listings, Facebook, Twitter and Yelp accounts had been created, then abandoned. 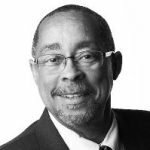 This was further complicated by having had three different business phone numbers and even having had the address of the building, situated on a corner, changed from the side street to the main street. A crucial concept in local SEO (search engine optimization for a business with a specific geographic location) is citation consistency, meaning that every online reference to the business (restaurant reviews, press releases, Google, Bing, Apple and Yahoo maps listings, Yelp listings, social media business pages, etc.) should use the same NAP (Name, Address, Phone). Search engines work algorithmically, and businesses that are referenced everywhere by the same NAP are ranked much higher in search results, than businesses that aren’t. The search engines are not sure if it’s the same business with different phone numbers. In the case of this business, the owner was set on having the name be “Bambú” (with the accent acute diacritic mark) rather than “Bambu” which wreaked havoc with both searches and NAP consistency. 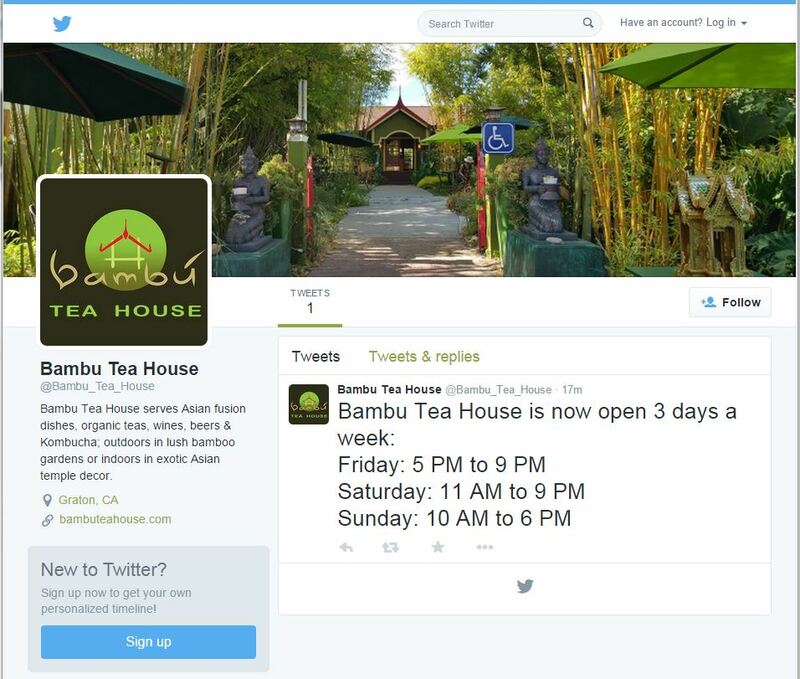 Bambu Tea House Twitter account created, showing first tweet. Here’s the cover photo for the Facebook business page, where I also populated static content like address, phone, hours, price range, and updated content, such as menu changes, specials, events, promotions. Facebook business page for Bambu Tea House. Cover photo for a special event page. Banner ad made for online advertising. Business cards requesting a review. To encourage patrons to review the restaurant on Yelp, I produced these business cards to be handed out by the waitstaff at the conclusion of the meal. 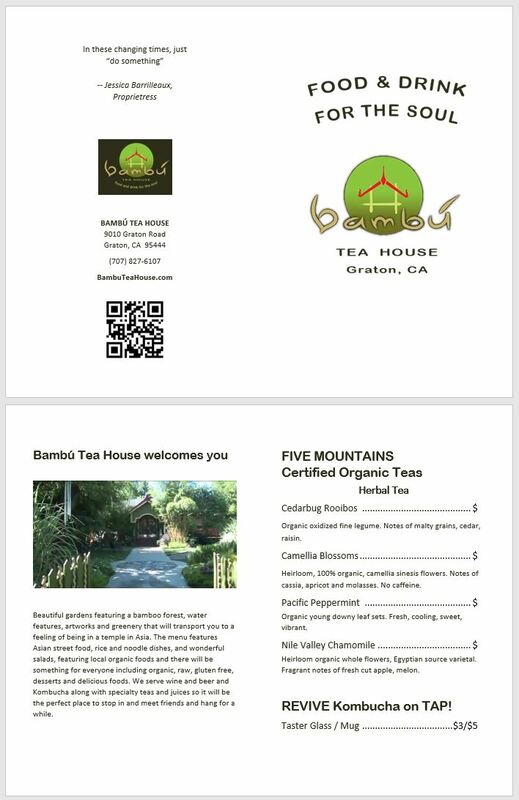 Bambu Tea House menu booklet, outside/inside cover pages.